If you’ve been following the “Kill Quill” movement, you might already be familiar with Hayes Holderness, a tax law professor who joined the Richmond Law faculty in fall 2017. Put simply, “the Quill case is why you don’t pay sales tax on things you buy online,” Holderness said. The 1992 case ruled that if a vendor doesn’t have a physical presence in a state, then the state can’t require the company to collect sales tax. The Supreme Court is currently taking a closer look at that ruling — making Holderness’ research on state sales tax a valuable resource to media outlets. Most recently, he’s been interviewed by The Washington Post, Law360, and Kiplinger about what he identifies as flaws in the reasoning behind Quill. It’s that topical and timely nature of tax law that attracted Holderness to the field in the first place. Holderness fell in love with the field when he took an elective course as a 1L student at New York University Law School. But now as a tax law professor, one of the challenges is getting students in the door in the first place. 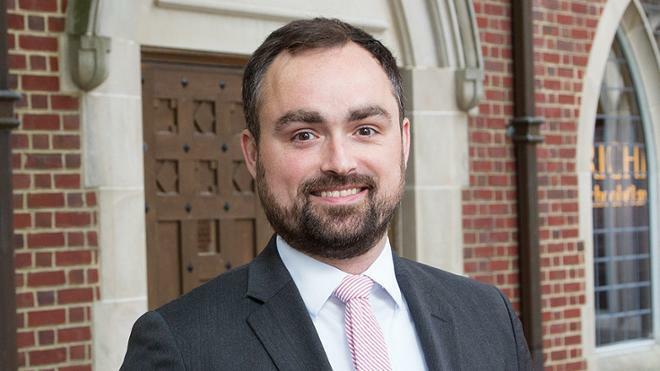 Prior to joining the faculty at Richmond Law, Holderness practiced tax law for four years at McDermott Will & Emery in New York before serving as a visiting assistant professor of law at the University of Illinois College of Law. But at Richmond, Holderness has found what he calls almost a “familial” community.